HUNTINGBURG -- A group of community leaders have announced a capstone project to attract more visitors to Huntingburg. 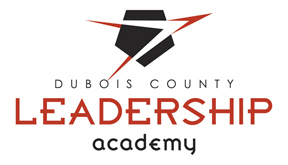 Members of the Dubois County Leadership Academy will be building a 9-hole disc golf course at Niehaus Park on Sixth Street in Huntingburg. The group is broken into two teams of 5, each tackling their own Capstone Project. "We're trying to get more people involved, younger people, get them off their phones, get [them] outside and enjoy it," says Danika Fleck, with Team “Flying Discs," the group working on the disc golf course. And while it will be a fun place for young people, the course will serve an even bigger purpose; one aimed at attracting people to the city of Huntingburg. "There's a couple of courses around. We're hoping to encompass [all of] Dubois County so we can have tournaments and get more people from out of town to come visit Dubois County." The group of local leaders is currently working with Huntingburg officials and members of the Disc Golf Club of Dubois County to iron out all of the fiscal details but they are trying to raise money to get the project up and running. Each hole on the course will have its own sponsor. Lifetime sponsorship of a hole with naming rights is $550.If you’re interested, contact Allison Pund at (812) 639 – 8347.